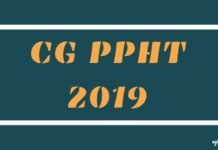 TNPPCAHS Admit Card 2019 / Hall ticket will be issued by the Tamilnadu Private Professional Colleges Association – Health Sciences. This document is also known as the hall ticket and will be issued to those candidates who have submitted application form and fees on time, correctly. 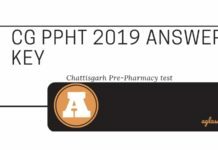 Important details of the exam such as date and time, examination center, candidate’s roll number, and other credentials are printed on the admit card. 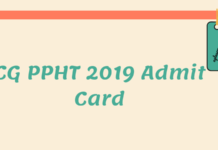 You can read this article regarding the TNPPCAHS Admit Card / Hall Ticket 2019 from below. In future, if any Candidate who may not receive the Hall Ticket can contact Consortium Office, TNPPCA-HS, before the date of Entrance Examination for clarification. The Candidates shall also collect the Hall Tickets in the Examination Centre on the day of the examination on producing a Photo Identification Document. The Schedule for the Entrance Examination and Admit card is described below. Availability of Hall Ticket/ Admit Card To be announced! 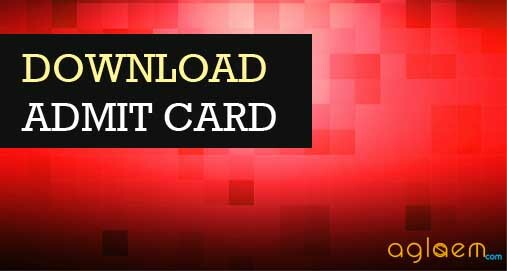 Admit Card: The Admit Card of TNPPCAHS 2019 for download will be announced on the official website www.tnppcahs.org. Candidates admitted for the Entrance Examination will have to come to the Examination Centre at their own expense and make their own arrangements for the stay if necessary. Candidates are advised to be present at the Examination Centre before the time which will be prescribed by the authority. They are required to be seated on their respective seats before the commencement of examination and to fill up the 1st page of Question Booklet. Question Booklets should not be opened by the candidates before the time which will be prescribed by the authority. Candidates coming after the commencement of the Examination will not be permitted to appear for the Examination. No candidate will be allowed to carry any text material printed or written, bits of paper, electronic and telecommunication devices like pagers, cellular phones, or electronic diary etc., inside the Examination Hall. No candidate shall be allowed to leave the hall before the end of the examination. Candidates shall maintain strict silence. Any misconduct will entail forfeiture of the right to continue the Examination. His / Her Answer Sheet will not be considered for valuation. Answers should be shaded with a Ball Point Pen in the OMR answer sheet as per the instructions are given and if it is shared with any other item the answer sheets will not be considered for valuation without any intimation to the candidate.